RRobert Kennedy Jr. explains how aspartame, a product that the FDA, soda companies, and top policy makes rejected as "TOO TOXIC" and claimed it would be approved for human use "OVER OUR DEAD BODY!" Reagan was right there doing his part firing the head of the FDA so a Monsanto shill could be put in his place to make the final decision almost as soon as taking office that would approve the use of aspartame in food in its powder form. This set up the approval for soda liquid use even though it was clear that the weak bonds would easily break at higher temperature and form formaldehyde (embalming fluid), a toxin that is cancer causing. A resistant soda industry flipped after they were told aspartame "was as addictive as crack!" After that they were on board 100% and wheeling their political power to make sure everything was in place to get approval DISPITE ALL OF THE RESEARCH SHOWING MULTIPLE SERIOUS RISK FACTORS. For over 30 years Dr. Woodrow Monte sought to understand how aspartame worked in humans. His discoveries are monumental and could hold the key to preventing several devastating diseases. Listen to our interview with Dr. Monte and learn the mechanisms that trigger the destruction of the myelin sheath that surrounds the nerves in our brain and leads to diseases such as multiple sclerosis, autism, and Alzheimer's disease. The mechanism allows these chemicals to infiltrate and cause permanent damage. There is an antidote and ways to avoid the chemicals all together. Find out what to do. Dr. Woodrow Monte uncovers links between consumption of aspartame and an increase in autism and Alzheimer's Disease. Imagine that people saying no to paying high prices for a can of cheap chemicals that can make them sick. Big profits generate big promotions and sponsorships that help to continue to generate sales. 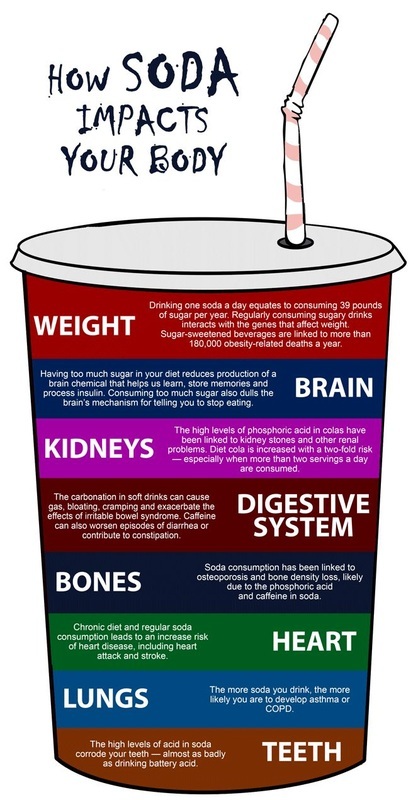 Think people would be shocked at just how much profit one can of name brand soda/energy drinks can generate when no real food sources are used to make it, only cheap chemical substitutes. Original recipes either contained something to get people high is some way, kill pain, or heal such as fermented drinks. Root Beer/Sassafras was fermented in barrels and had good qualities besides an enjoyable flavor. The root beer of today reads of chemical replacements except organic brands although some of those still not real thing. Has to come in a bottle to taste right in my opinion. Just read stevia replacing tobacco as cash crop. Been using stevia in a liquid form for over thirty years and very familiar how these companies blocked stevia's approval as a sweetener all those years to protect artificial sweetener patents. A real plant that is also good for your pancreas, and can even help improve blood sugar control was looked at as a trreat that could replace their designer chemical sweeteners that was bringing in plenty of revenue as not only sweetener, but ingredient in low calorie/sugar free products. Mega chemical companies that owned the patent rights to these artificial sweeteners, like Monsanto, knew they could stop stevia's approval and did until the report on mercury residues in high frutose corn syrup (HFCS) came out. That along with all of the awareness of artificial sweetener risks put the pressure on and stevia started being used in products before the government even approved it for use. No matter since companies knew they own the government and they decide when products will be approved. Those that used it all those years before could never buy stevia it as a sweetener, no that would be breaking the law, it had to be sold under non food categories such as "nutritional supplement" or as a face mask. Bought stevia the "sweetener" with a face mast label for over 20 years. It had been approved in Japan long before and was used there in beverages as no calorie drink, and you can bet that the big beverage companies were using it in those countries, but blocking approval in US because they could. There were millions of us using it back then to help control blood sugar and nourish the pancreas. Stevia can be grown at home, leaves picked and used as sweetener. 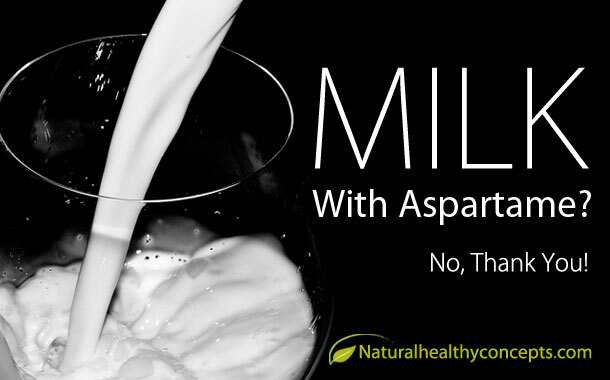 Click graphic to read the article on how the milk industry wants to put GMO aspartame in milk that will be served to kids at school as well as many other products aimed at getting kids/people to want to eat because sweet tasting. The industry is set out to train our kids to not be happy with normal taste in food, and only like it if super sweet. Don't let them, by speaking up, reading labels, and using the power of you dollars to send the message you will not buy it. Stop suffering with heartburn and other digestive problems. Start to heal and nourish your digestive system to bring it back to a healthy system without pain that can not only digest food properly, but help you get the full nutrition from food and get off the drugs and antacids that are only a bandaid to the real problem. Pure concentrated healing minerals can help put you on track to a new life. Why risk it? Click to read the article/interview on how aspartame work in the body with Dr. Mercola and Dr. Woody Monte who has written a book, and has a special diet to avoid the formation of formaldehyde. NEW YORK (AP) -- Diet Coke, the country's No. 2 soda, may be losing some of its pop. During a conference call with analysts Tuesday, a Coca-Cola executive noted that Diet Coke is "under a bit of pressure" because of people's concerns over its ingredients, alluding to the growing wariness of artificial sweeteners in recent years. Steve Cahillane, who heads Coca-Cola's North American and Latin American business, noted that the issue wasn't specific to Diet Coke, but that many diet foods and drinks in the U.S. are facing the same concerns. "We believe very strongly in the future of Diet Coke," Cahillane stressed, noting that the drink is still the No. 2 soda in the U.S, after knocking Pepsi from that perch in 2010. The company said it still sells twice as much regular Coke as Diet Coke. Cahillane also noted that the company is investing in boosting Diet Coke's performance, pointing to recent promotions with singer Taylor Swift as an example. Soda has been under fire from health advocates for several years now, and Americans have been cutting back on sugary fizz for some time. But in a somewhat newer development, diet sodas are falling at a faster rate than regular sodas, according to Beverage Digest, an industry tracker. Last year, for example, sales volume for Coke fell 1 percent, while Diet Coke fell 3 percent. Pepsi fell 3.4 percent, while Diet Pepsi fell 6.2 percent. Those figures aren't going unnoticed in Coca-Cola's Atlanta headquarters. This summer, the company launched its first ad addressing the safety of aspartame, the artificial sweetener more commonly known under the NutraSweet brand name, to ease concerns people might have about its use in diet sodas. It has also distributed fact sheets on the topic to its bottlers and retailers who sell Coke products. 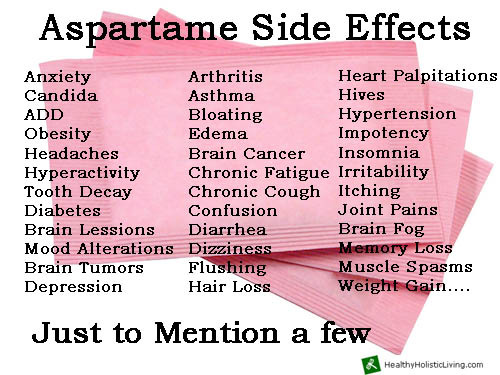 The Food and Drug Administration says aspartame may be safely used in foods as a sweetener, and the American Cancer Society has said that most studies using people have found that aspartame is not linked to an increased risk of cancer. Still, some fear that there could be adverse health effects from consuming artificial sweeteners over the course of many years that haven't been detected in studies. The broader trend in the U.S. has also been toward foods and drinks people feel are natural or organic. And Coca-Cola is clearly aware of the shift; the company is working on producing sodas made with natural, low-calorie sweeteners. It also launched a version of its namesake drink sweetened with stevia in Argentina this summer. Stevia comes from a plant of the same name. Meanwhile, Coca-Cola Co. said that sales volume for regular, full-calorie Coke rose 2 percent in North America in its latest quarterly results reported on Tuesday. Coke Zero, which is made with artificial sweeteners and targeted more toward men, rose 5 percent. The company didn't break out Diet Coke's performance, but overall soda volume for the region was flat. This cartoon story maker had a passion for telling about the risks of this chemical in the human body and invited us to share his work. We are thrilled to do so. Especially if it helps even just one person understand what is happening to them after drinking or eating these chemicals.